Can a forced benching have benefits? 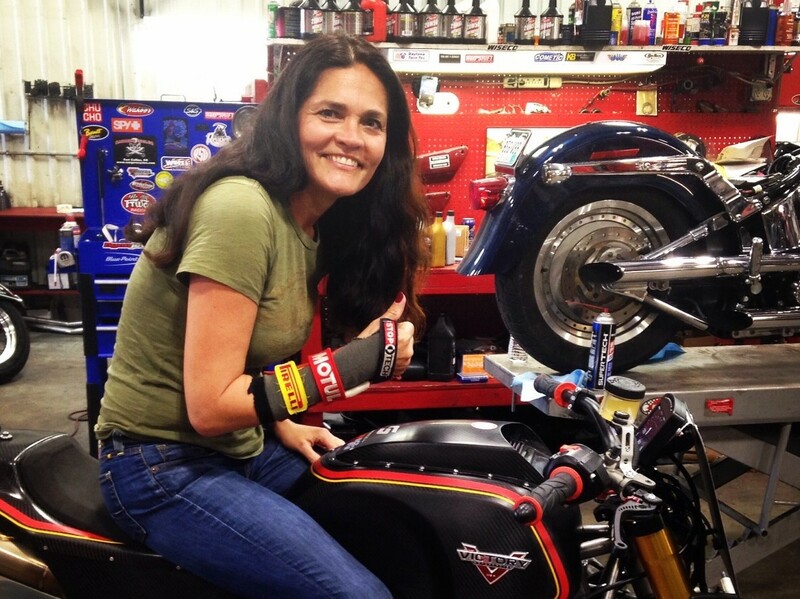 Recovering from a racing accident which happened in late April I was forced to stay off motorcycles for awhile. 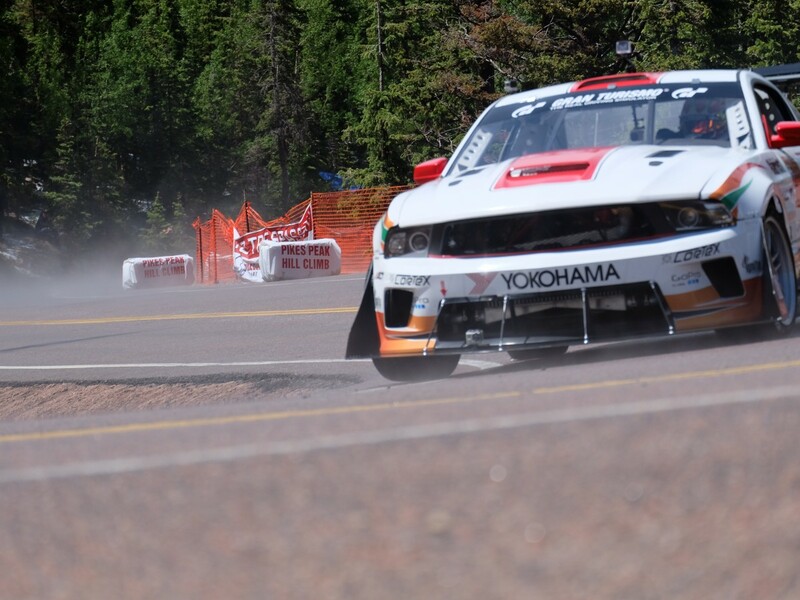 The positive side to this was that I was available to participate in events I normally wouldn’t be around for, such as Pike’s Peak Hillclimb Race held in late June. The second oldest American race, with Indianapolis 500 being the oldest racing event in the U.S. 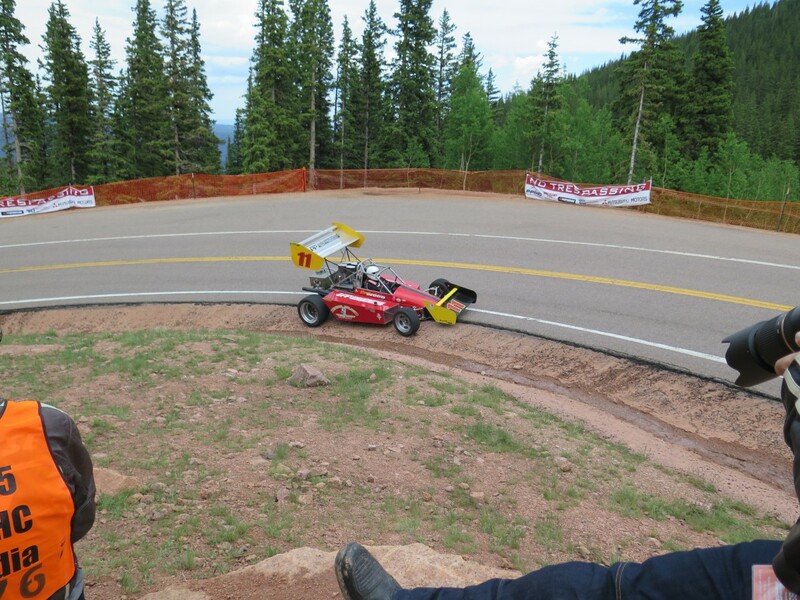 This year would be the 96th annual Pike’s Peak Hillclimb race. Road Trip! Late in May, while admiring my freshly polished nails, a luxury I am rarely afforded due to all the wrenching I do, I get told about a request of an old friend Robert Pandya. 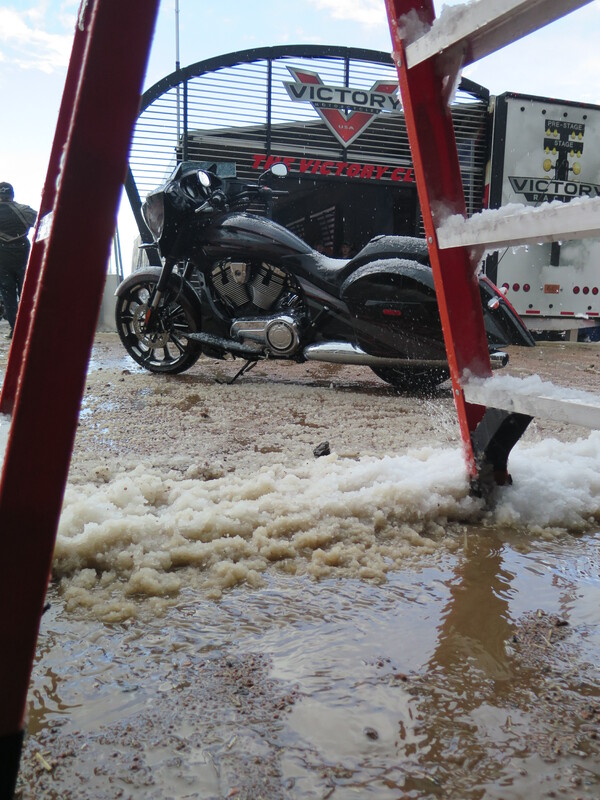 Robert is with Victory Motorcycles and needed a bike to be transported to Colorado. Having some free time on my hands and serious cabin fever setting in due to my injuries, I was all too excited to take a road trip. 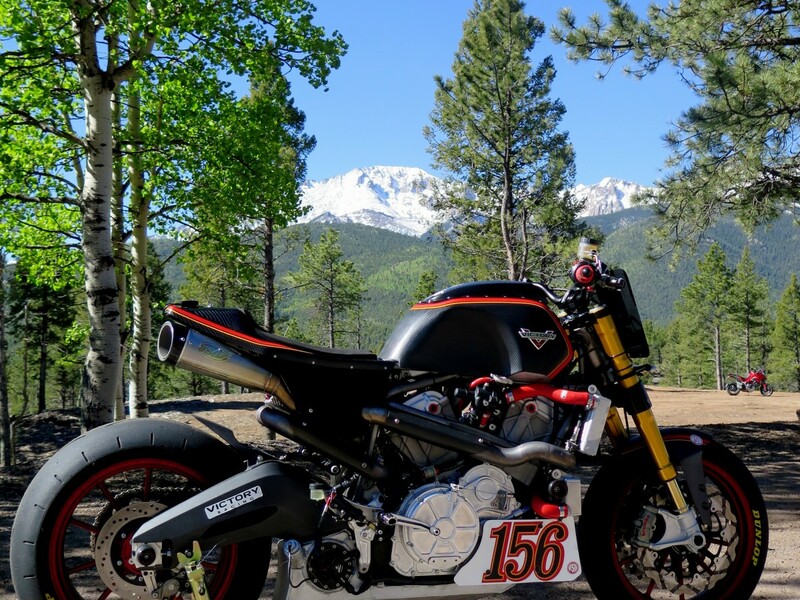 Even better news is that it was for the Pikes Peak P156 Project bike, a joint venture in which Victory designed and built the engine, and Roland Sands Design did the chassis. 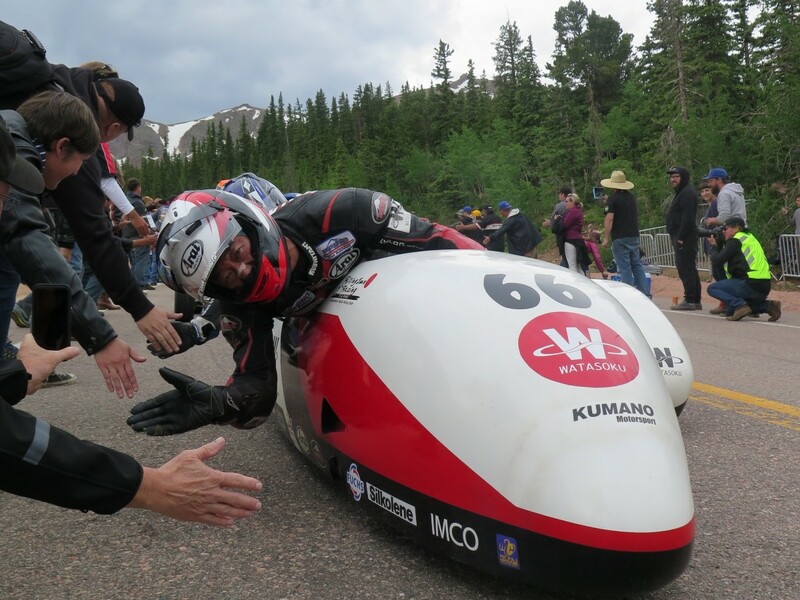 Of course, there were many other manufacturer’s involved, but this was spearheaded by Victory Motorcycle’s Kyle Klack and John Reed, and a prototype first for them, one of the few U.S. motorcycle manufacturer’s in existence. A very successful and progressive one I might add, who spared no expense on this project, but perhaps a little short on time, less than three months to build a hill climb race bike? 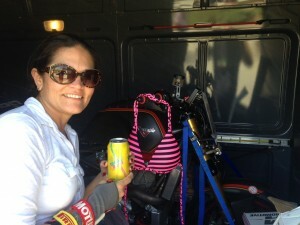 Helmets n’ Heels Transporter gets racy! 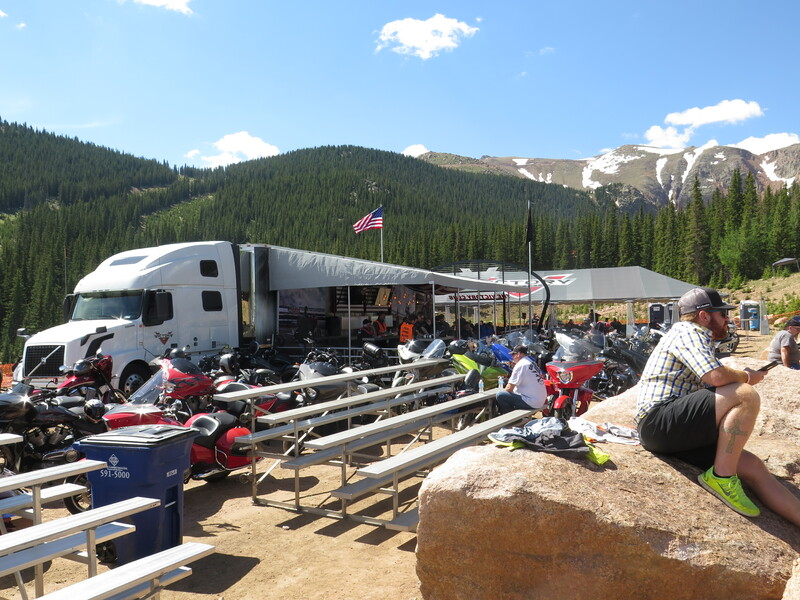 This is where Helmets n’ Heels comes in, they needed the bike transported from LA to Denver by the end of the week, and it was Monday. So we put on some new tires, fueled up the HnH Team transporter and headed over to Roland’s to grab the bike and all it’s accessories. Which included a spare engine, three sets of wheels, six cans of race fuel, a custom starter box, and several race boxes of spare everything. I met Roland and his crew, and proudly showed off one of my racers, a Roland Sands Super Single WR450. I let him know that it was getting raced across the country and performing wonderfully, just missing the national AHRMA SoS2 championship by a few points last year. 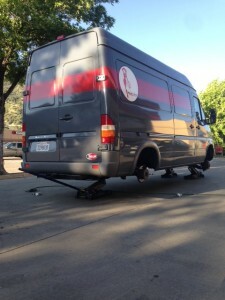 However, since that was the bike I crashed on after hitting a freshly oiled track at the start of a race at Willow Springs event a month earlier, I would be needing some replacement RSD rearsets. hint, hint, hint. 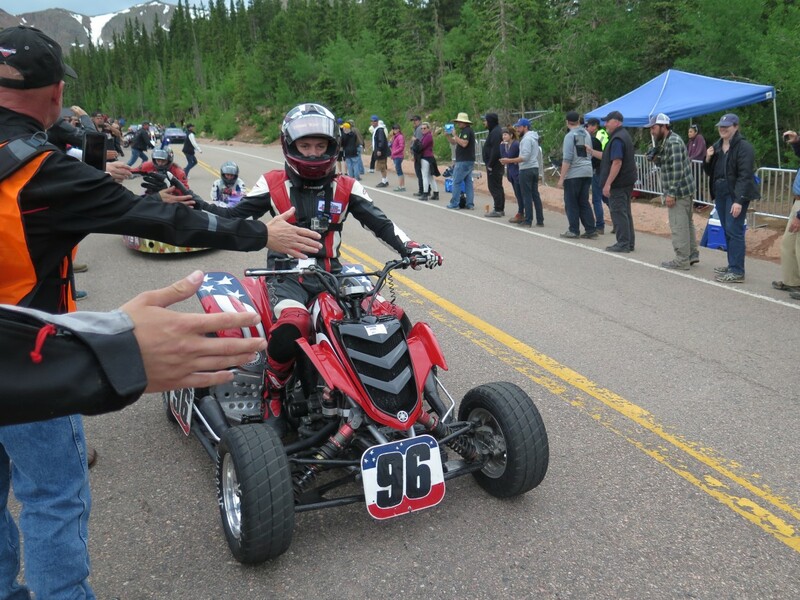 He was glad to hear it was being raced and would help with the parts. 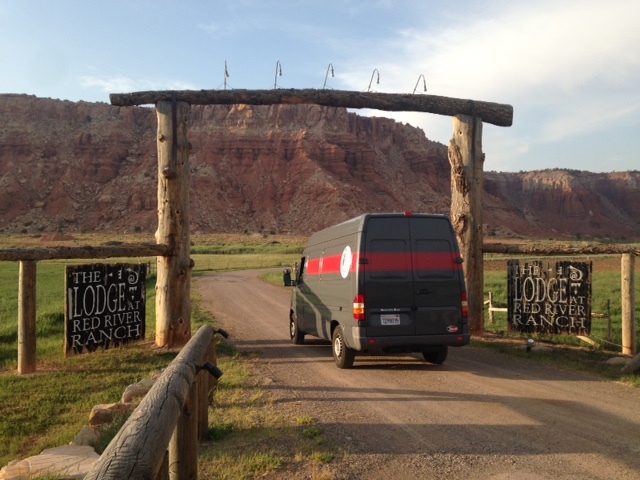 Red River Ranch here we come! 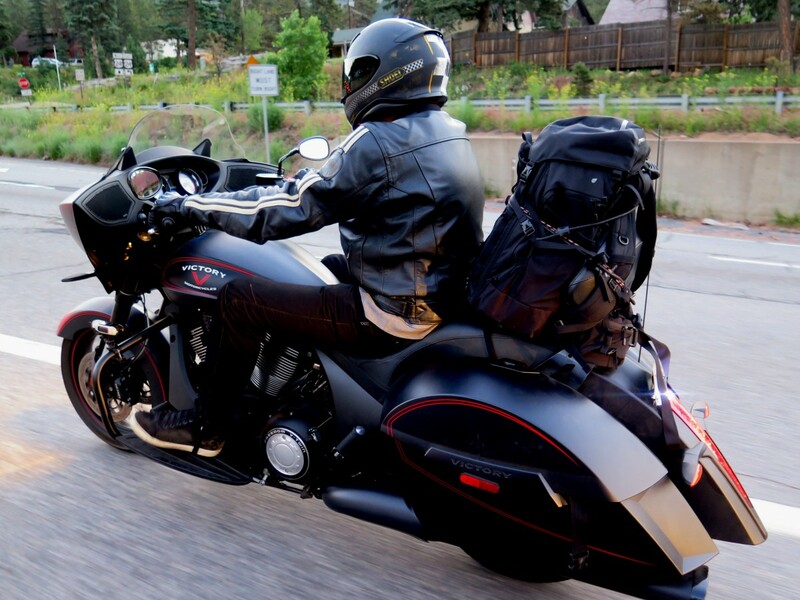 Packed and ready to go we motored thru Nevada, stopping in Torrey, Utah one of my favorite places to ride, and fly fishing heaven. Dyno time! 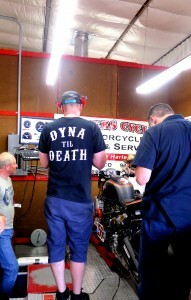 We arrived at the dyno shop and watched the Motec engineer work his wizardry. Having to tune for Pikes Peak is an art, the course starts at 6000′ and rises to 14,000′! The next morning we are up at 3:30am and heading up the mountain for the first weekend of testing. 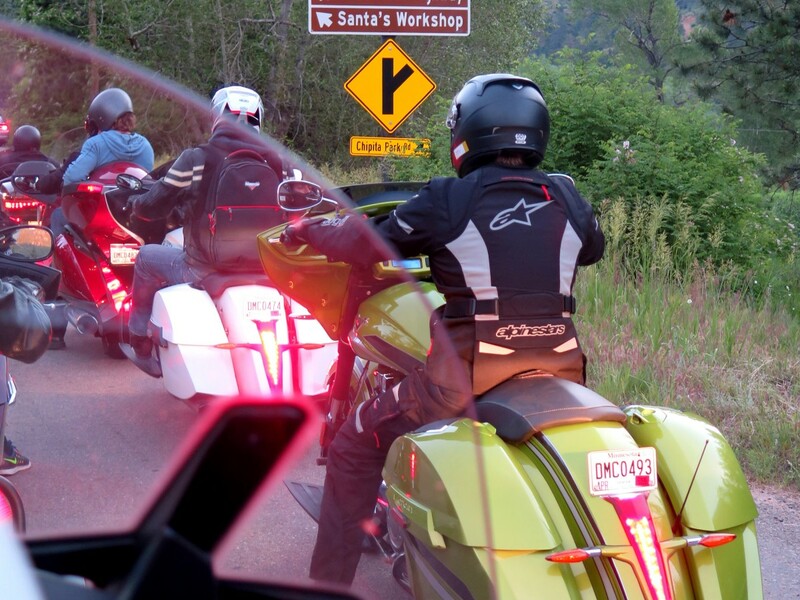 Meeting the rider Don Canet of CycleWorld was an honor. Also meeting the support crew for the race (AF1 Racing) which was yet another entity involved in the endeavor. 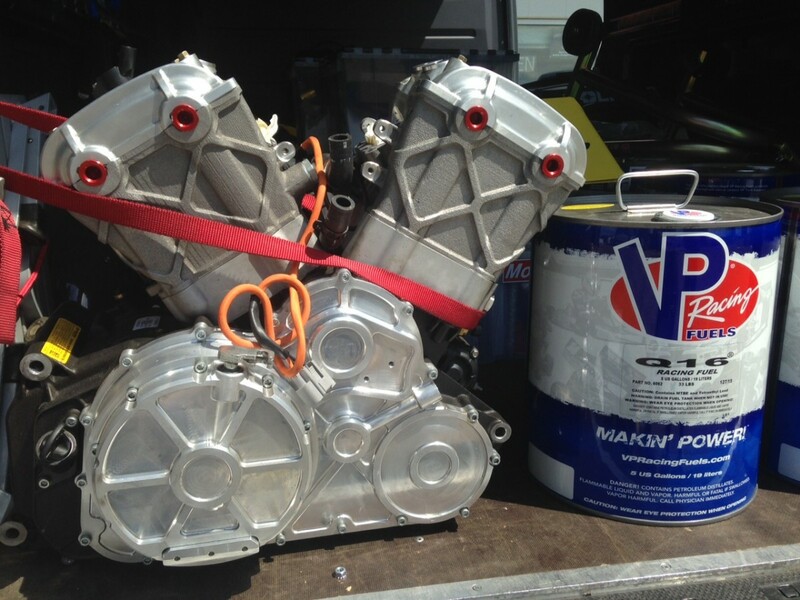 Amazing how we have the technology now for a manufacturer (Victory Motorcycle) to simultaneously design an engine in Minnesota, having sent the rapid prototype 3D plastic printed model to the chassis builder (Roland Sands Design) in California to build around, later ship the engine and wiring harness, fly in the electronic tuner (Motec Systems) from North Carolina, and have a race crew (AF1 Racing) from Texas all meet at the event for the first time a day before testing! Many had worked together on other projects over the years, but this was the first time they were seeing the finished product. Project P156 meets the Peak. Crazy as it sounds that is how the Project P156 came to be. 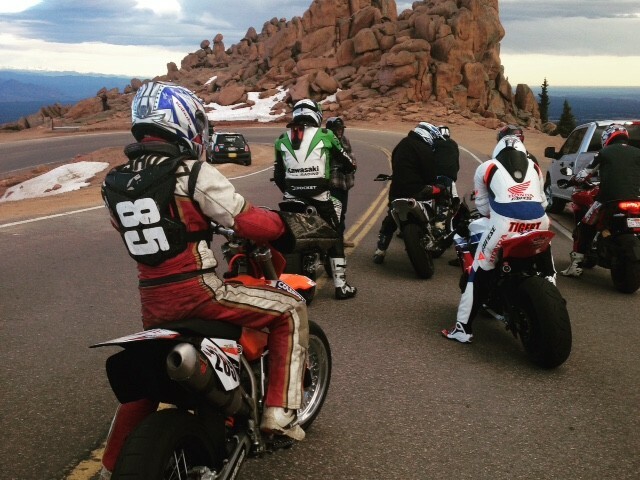 My helmet comes off for Don Canet, for I watched him introduce the P156 bike to Pikes Peak. 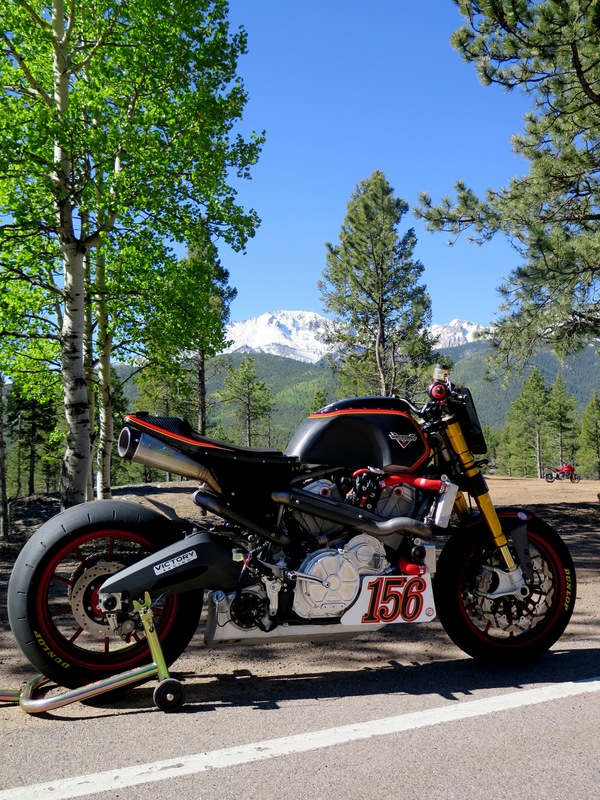 Methodically after every session that first morning the bike quickly transformed as did his confidence as they dialed in the tuning with his decades of racing and testing experience feedback. The bike didn’t cough and sputter anymore, it roared! 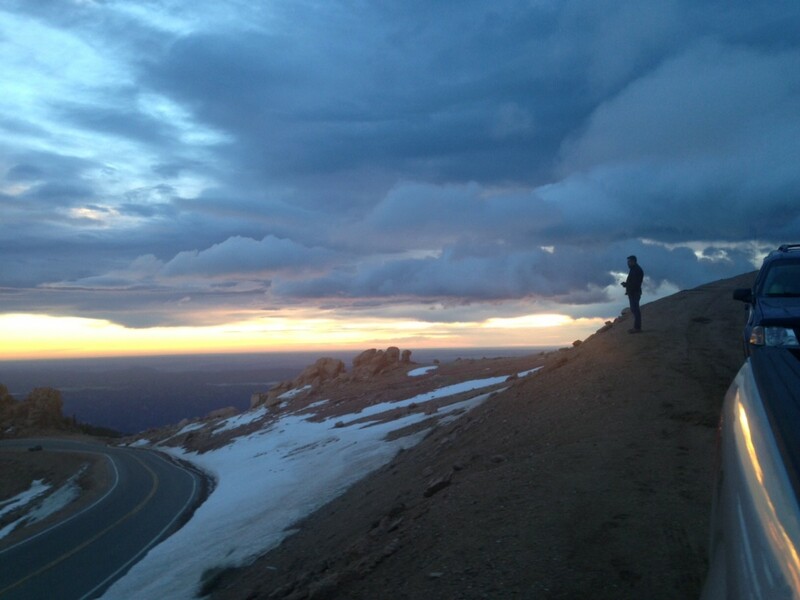 However, a big issue was the temperature disparity at the bottom of the mountain which was 45F and dropped to 36F with 5-15mph gusts. The first rider up the mountain would have to wait as much as 15 minutes for the last rider before they could head down with the control riders. 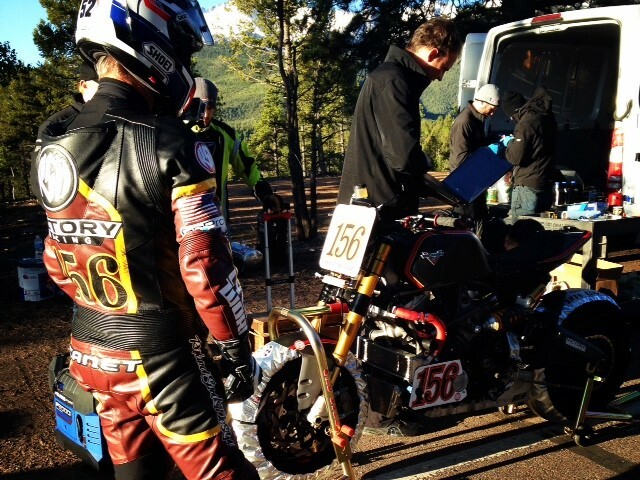 Riders were freezing and tires temps were too cold in the early sessions to ignore. Weather at the Peak changes fast I would soon learn. At the Top. On race weekend I returned to watch the cars, motorcycles, ATV’s and even a Freightliner race up the mountain. 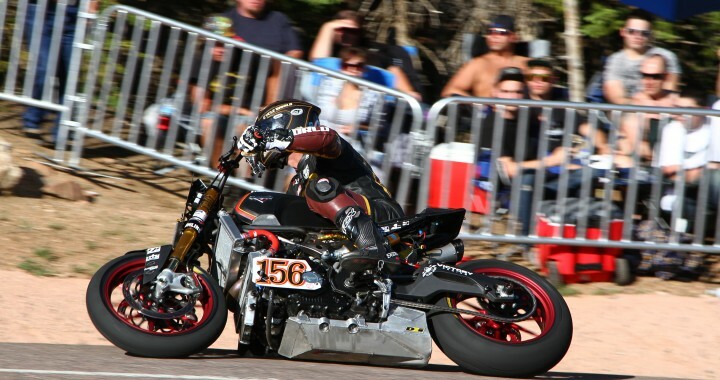 I was primarily watching both the Project P156 bike, named so for the 156 turns that make up the 12.4 mile course, and a Willow Springs Motorcycle Club legendary racer, Jeff Tigert. It has been years since I have seen Jeff last, Daytona I believe it was, and I knew he had the potential for winning the motorcycle class overall. 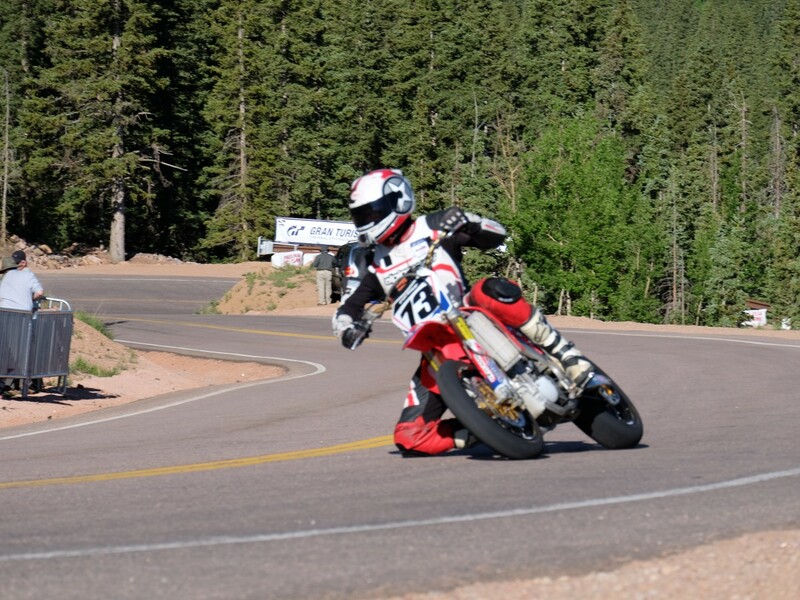 I had watched Jeff do amazing things at Willow Springs, the fastest track west of the Mississippi, and knew he had special skills, he was on a Honda Fireblade for which he is a test rider. Victory Corner! 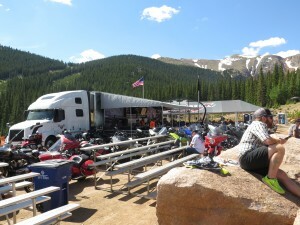 Victory had sponsored the event with a first class hospitality tent setup in one of the best corners, the Ski Area Turn for viewing, half way up the mountain. 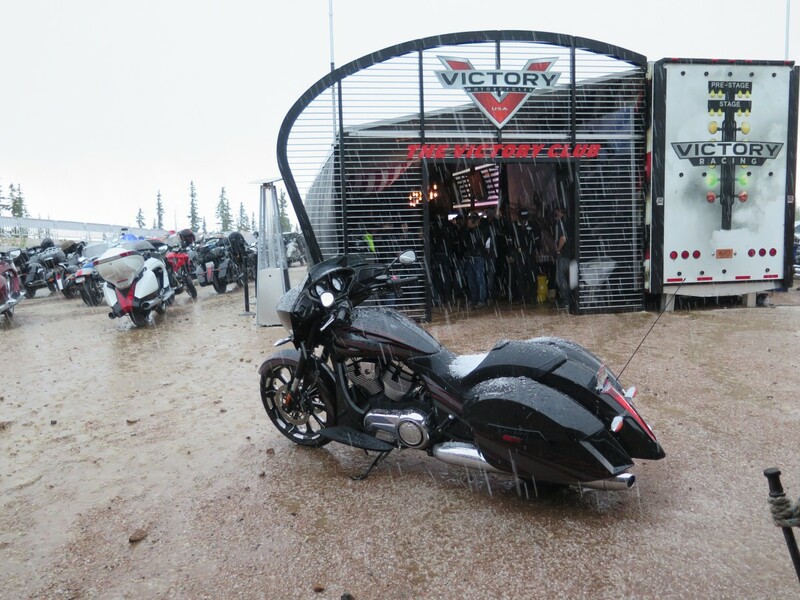 They also had invited Victory owners and international journalists who had spent the week riding around Denver on different Victory model motorcycles. Being my first time viewing of the event, it was certainly a prime spot. 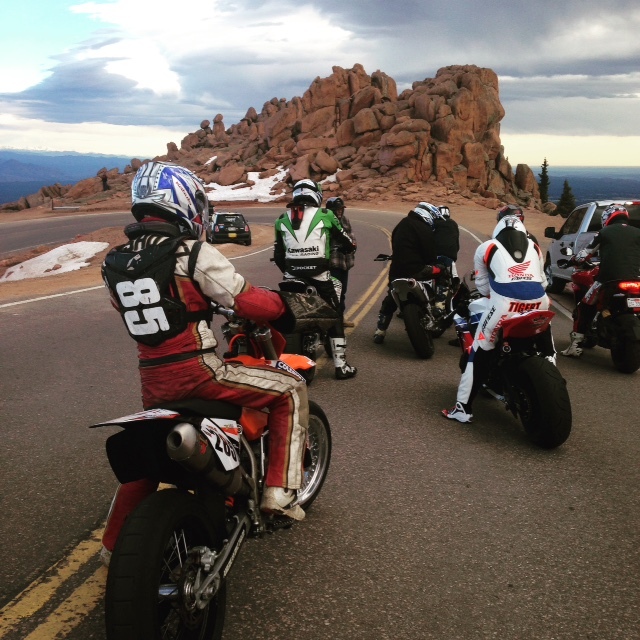 I learned that to race the entry fee is $1400, and the only time you can camp at Pikes Peak is the night before the race. 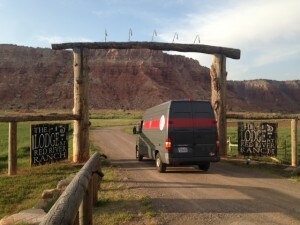 Camp spots sell out quickly when announced in January. Hailstorm! 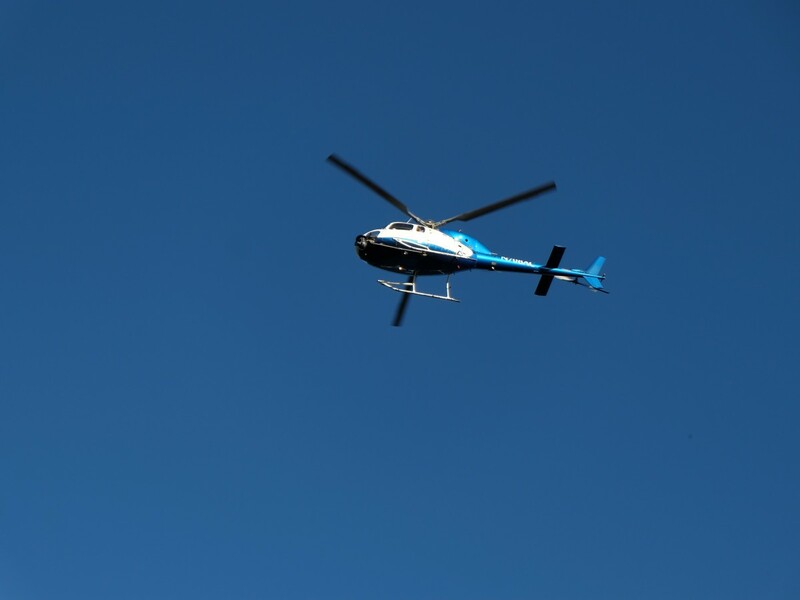 Having media credentials helps, for you can walk to different vantage points if so inclined, however, come prepared. The weather than change from 75 degrees and sunscreen to 40 degree hail storm and jackets in a matter of 30 minutes, which is what happen. Luckily most of the bikes went first in the morning so the cars raced after the storm passed, but on a shorten the course due to time constraints. A Freightliner?! My favorites of the motorcycle racers for the event were Californian’s Don Canet, Jeff Tigert, Wade and Christina Boyd from San Francisco on their sidecar, Keith Speir from Fillmore on a 1969 Triumph, Elizabeth Deeter on a 1996 250 from Austin, Texas and a Brit, Jamie Robinson who was riding one of my favorite bikes, a Ducati Multistrada which was a pretty stock street bike. 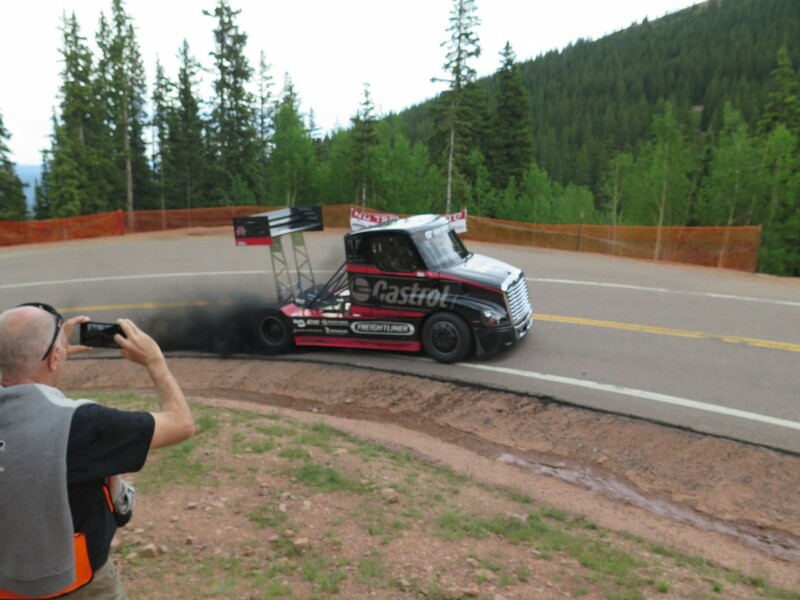 For the cars, it would have to be the Porsche’s, the electric cars, and of course, the crazy man in the Freightliner! There were also a few lady racers besides the one on a bike, one woman self crewed and raced a sprint car, rather aggressively!